Choosing between WordPress and Squarespace can be a difficult decision. By understanding your needs and how each platform measures up to them, you’ll be able to make the informed choice that best serves you. So who wins? Let’s look. Both WordPress and Squarespace offer customized themes. In terms of options, WordPress is hands down the winner. While Squarespace has about 30 different themes to choose from, WordPress boasts thousands thanks to it being an open source platform. However, quantity doesn’t translate into quality. Most of the sources I encountered noted that Squarespace’s themes tended to be more professional looking, as did the default layout. Additionally, using custom themes with WordPress often requires choosing a premium subscription to a service like ThemeForest or Elegant Themes (where the HireGun template is from, by the way), so you have to pay extra to tap into the large amount of options available on this platform. From the standpoint of building a business website without coding knowledge or developers to help, Squarespace is the better option unless you encounter a WordPress theme that you are completely in love with. It is notable that to take advantage of all of the options available with WordPress, one would need to have some familiarity with web development including HTML, PHP and CSS. Squarespace is more geared towards users without such web development knowledge. The take-away point is that Squarespace is much more user-friendly, but more limited in what is possible. Squarespace has basic search engine optimization built into themes. Generally these are limited to title page and metadata optimization. Beyond this, there isn’t much available to users in terms of SEO options. If a business is intending on maximizing SEO, they’re better off with WordPress. WordPress offers a lot more flexibility due to the amount of plugins available for the open source platform. Advanced SEO tools are available that allow you to customize your website in such a way to help it rise in Google search results. WordPress.com often charges for these, whereas self-hosted WordPress.org websites can use Yoast SEO for free to configure. Here is a guide. Once again, WordPress offers a stronger showing in this category thanks to the open source nature of the platform and the wide variety of tools an options that have been build for it. However, this again is somewhat of a double edged sword, as these more advanced options require more advanced knowledge to properly implement. Winner? Mixed, but WordPress if you have SEO knowledge and Squarespace if you need the basics out of the box. Both WordPress and Squarespace have three tiers of pricing. WordPress offers a “Beginner” tier that is free, a “Premium” tier at $99 a year, and a “Business” tier at $299 a year for WordPress.com sites. WordPress.org is free to download, but you have to pay for your own hosting and upkeep. Squarespace doesn’t have a free option. Their lowest tier is “Standard”, which costs either $10 per month or $96 per year. The next tier is “Unlimited” costing $20 a month or $192 a year. Finally the top tier is “Business” which costs $30 a month or $288 a year. So if one wants a simple website, WordPress will be the cheaper option. But if one wants a more complex site with more robust options, Squarespace may be the cheaper option. However, recall that WordPress has a lot of flexibility due to it being open source. If choosing the Business tier for either, you’re getting a lot more flexibility in terms of design options with WordPress for only $11 more. Once again it comes down to how willing the user is to engage in web development. If the user has the knowledge, they’re getting a lot more bang for their buck going with WordPress. Another important consideration is hosting costs. Squarespace is a fully hosted platform. You’re paying for the web domain as well as the tools they offer. WordPress.org does not offer direct hosting, meaning you’re required to purchase hosting yourself. This can increase costs by about $5 a month, depending on the service you’re purchasing website hosting from. WordPress.com has free tiers at a domain like yoursite.wordpress.com, but for a custom domain name you have to pay. This is another area where WordPress is the clear winner thanks to it being open source. 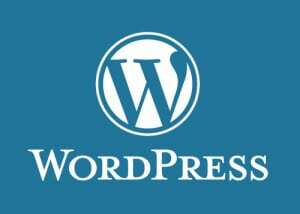 Using Plugins, WordPress offers integration with many different payment methods such as “PayPal, Google Checkout, Stripe, 2Checkout, Payoneer, Skrill, and even Bitcoin.” Additionally, WordPress offers tools that ease the process of affiliate tracking as well as themes intended to quickly build a functional e-commerce website. Again, bear in mind that these options may require a fair amount of web coding skill to take full advantage of. Squarespace on the other hand offers limited e-commerce options, however they’re available right out of the box, so to speak. Squarespace is “fully integrated with features such as inventory tracking, tax, and shipping included”, but limit to how much you can sell depending on your payment level. Squarespace is also much more limited in terms of payment methods that are supported, with Stripe being the only option available for payment processing. This is one area where WordPress being open source and having a wide variety of plugins available is a detriment. While Squarespace is “fully hosted” and thus takes care of all security and updating for the user, WordPress.org requires the user to purchase separate hosting. Thus the security of the site is largely dependent on the site hosting service and can vary somewhat. WordPress.com is hosted and upgrades are applied automatically, so this is less of a concern. Also, services like ManageWP exist to help make automatic updates easier, and some hosts like WPengine automatically update your installs for you to keep them secure. If a business or individual decides on choosing WordPress, the hosting service they choose should be carefully selected. Additionally, WordPress will not update any of the third-party plugins that make it such a versatile platform. If a user doesn’t keep their plugins up to date, this could pose a serious and significant security risk. Finally the open source nature of the platform itself makes it less secure, as the basic code is available for anyone to look into and potentially exploit. Squarespace is the clear winner in terms of security and keeping things updated. They control the code, and can therefore keep things locked down for their users. Winner? Squarespace, but good WordPress options exist. Here once again, WordPress being open source makes it standout as the clear winner. WordPress has thousands of plugins that allow for integration with a wide variety of third-party services. Squarespace is far more limited. They offer some plugin support, including Mailchimp (and the previously mentioned Stripe), but your options only include what Squarespace has integrated. If you don’t have a need for anything beyond what they offer, that isn’t a problem, but this may pose a barrier to scaling up in the future. Choosing WordPress vs Squarespace really comes down to what you need out of your business website and what time and resources you want to put into it. If the primary purpose is to give your company an easy to create professional public face, Squarespace may be the better option with its focus on providing professional looking themes and user-friendly service. However, if you want to focus on e-commerce or have a need for a high level of customization, WordPress is the best option for you. What’s been your choice and why? Disagree with anything here? Leave a comment!